This new addition to the BSAVA Foundation Manual series serves to provide an easily accessible source of practical advice on the management of common feline problems encountered in first-opinion practice. 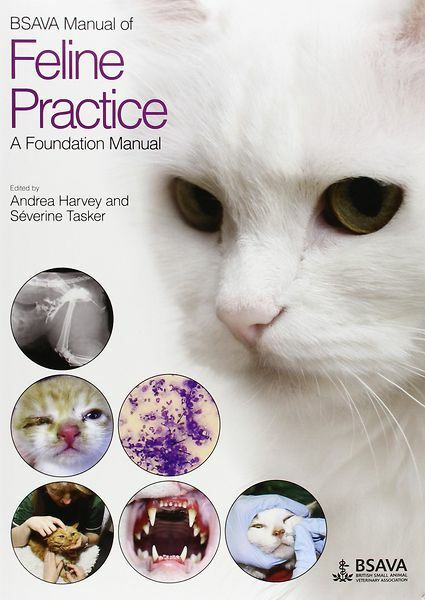 It begins with an introduction to important general issues in effective feline practice, including handling techniques, principles of examination and how to ensure a cat-friendly practice. Gold-standard preventive healthcare guidelines focusing on a life-stage approach and a discussion on therapeutics including antibiotic use, analgesia and anaesthesia follow. The main part of the Manual comprises problem-oriented sections that focus on the investigation and initial management of, first, emergencies and then other common presentations such as alopecia, polydipsia and seizures. The final systems-based section gives more detailed information on the management of the disorders commonly seen in general practice. A unique feature of this Manual are the many ‘Quick Reference Guides’ (QRGs) provided throughout , which present practical techniques and treatments in easy-to-follow step-by-step guides, with clear colour photographs illustrating each step whenever possible. The international panel of authors were carefully chosen for their practical expertise and passion in different areas of feline practice. The practical and easy-to-follow advice provided in this Manual makes it essential reading for all new graduates and first-opinion vets who see feline cases, as well as veterinary students and veterinary nurses worldwide.